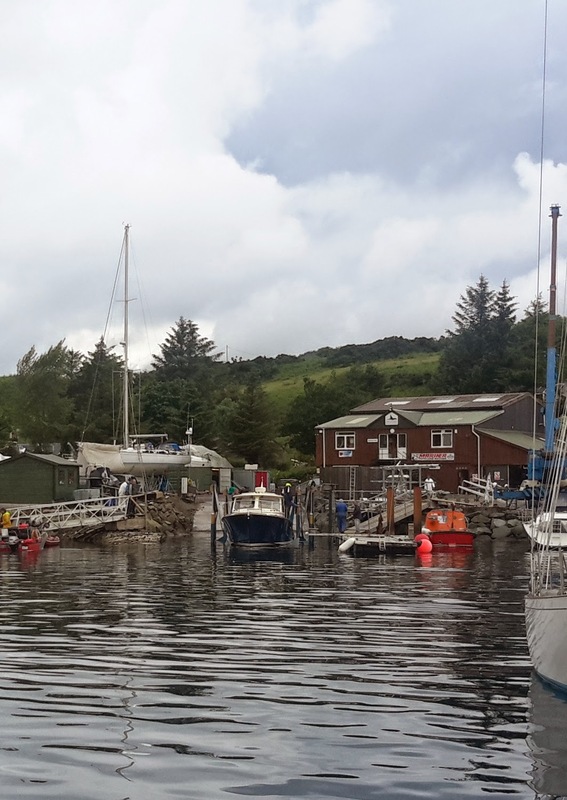 Ardfern Yacht Centre: Anyone for some cucumber sandwiches and a glass of Pimms? Anyone for some cucumber sandwiches and a glass of Pimms? 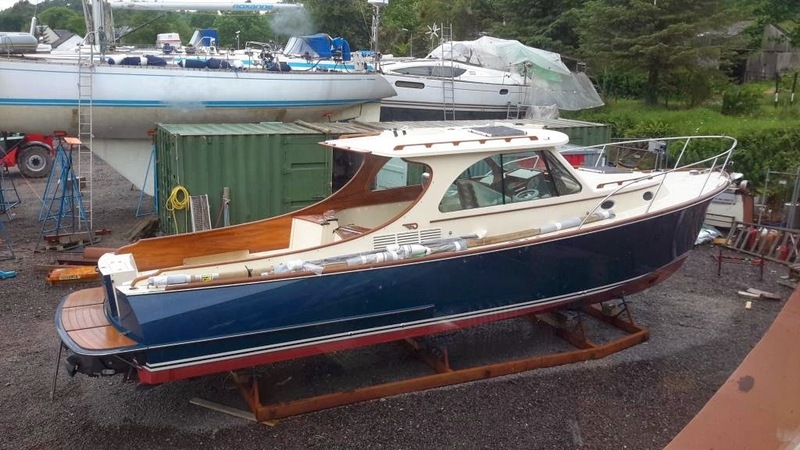 We had a glamorous new arrival at Ardfern Yacht Centre recently - a Hinckley T34 Picnic Boat. Built in the US of A and shipped over the Atlantic, she arrived on the back of a low loader, under wraps and waiting to be commissioned. 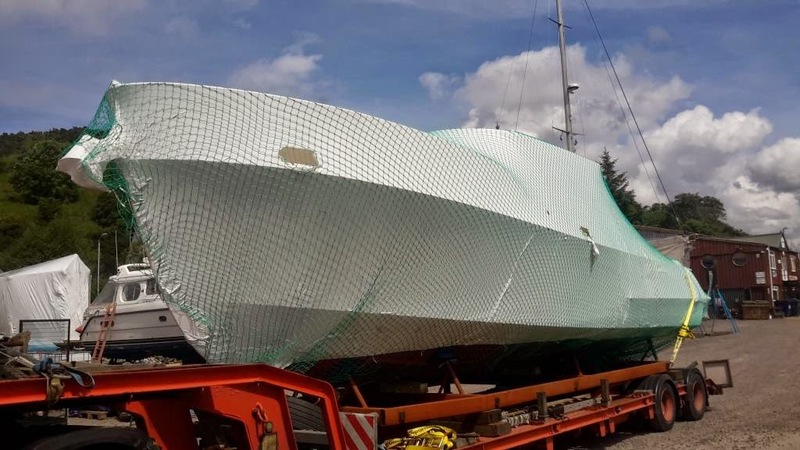 not via a container ship or a low loader as his employers obviously think more highly of him than that and, once the boat was off the transport and on her cradle, started the unwrapping. One big football net (soccer net if you are reading this at Hinckley HQ and wondering where on earth Chris has got to) and an awful lot of plastic later, and the boat was uncovered and attracting some admiring glances. Once Chris gave the go-ahead, we shoved it down the slipway using a couple of crowbars and some strategically placed kicks*, and she took to the water first time (at least on this side of the Atlantic) and gracefully sidled up to her berth under her own steam. 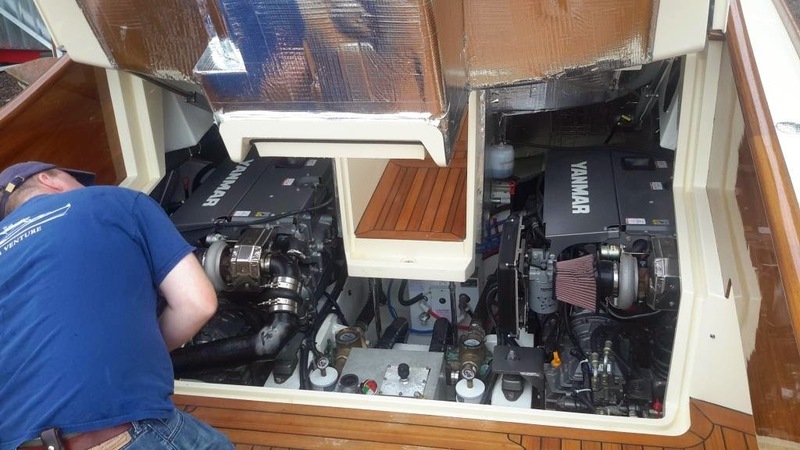 Steam might be understating it a bit as she is powered by twin Yanmar V8s pumping out 320hp through twin Hamilton 274 jets! And here she is heading out for her initial sea trials - with a couple of our staff along for the ride using the "we need to know how everything works just in case we need to move her sometimes" excuse. 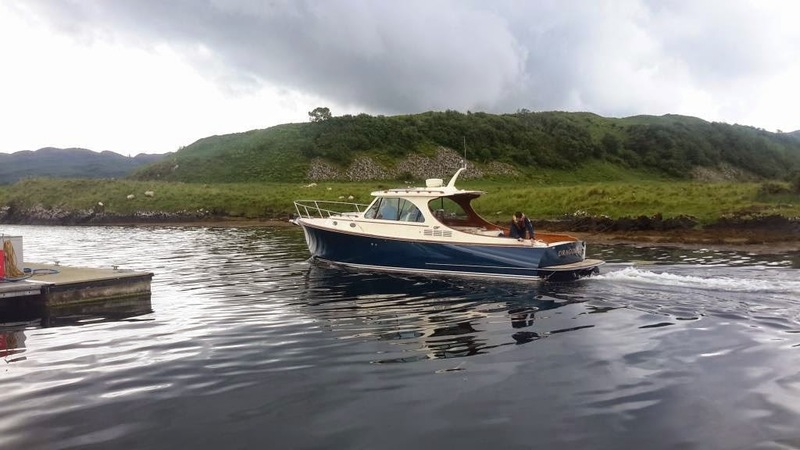 And the review from our staff is that it is a very smooth and quiet ride, a beautifully built and finished boat but, on the downside, they couldn't find any sandwiches! 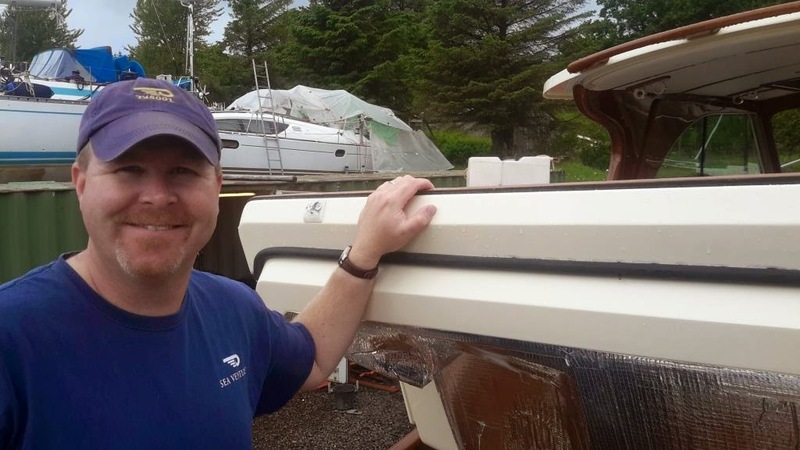 And the last words from Chris before he headed off to commission the next Hinckley were "other than home, there haven't been many more beautiful places than Ardfern that I've visited, hope to come back one day soon, but preferably when there aren't any midges!"